For anyone involved in the online gambling or social casino industries, 2014 was an interesting year. Mergers and acquisitions continued, involving traditional gambling companies and social casino startups. More U.S. states (New Jersey was the big news) and international governments passed laws to regulate online gambling. As well as cryptocurrencies like Bitcoin have continued making waves in gambling networks, as many are speculating whether digital currency will soon be the norm in online gambling. 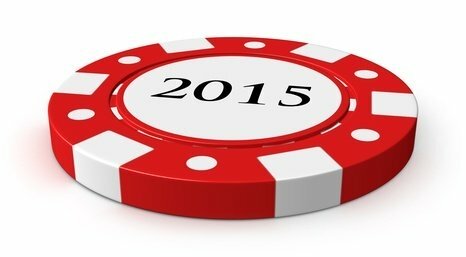 After carefully following changes in 2014, there are several predictions about what 2015 holds for the world of online and mobile casinos. Social casino apps, mainly in Facebook but also in other social networking sites such as China’s Tencent, are now a multimillion dollar business. They have made gambling-like games a part of the digital media consumption habits of millions. Social networks are the perfect platform to expand and profit from gambling activities. As social casino games become culturally normalized and people become used to paying small amounts in social games, there will be a push to regulate real money gambling through social networks. This might not happen in 2015, but advocates for regulated online gambling will gain some ground. Mobile media is the next frontier of digital gambling as smartphones and tablets get more powerful by the minute and 4G connection becomes the standard. Some online casinos already have strong mobile applications. PKR.com, for example, has launched a 2-D mobile application that requires less power than its complex desktop 3-D software . Other casinos such as PokerStars have released social casino games, with which online casinos have a closer day-to-day relationship with customers. Online casinos will look for a seamless integration of mobile and desktop gambling, pretty much like the PS4 console is integrated with Sony smartphones. Even though the New Jersey gambling industry hasn’t been very successful yet with online casinos, this industry represents a profitable business and a big source of tax revenue. Discussions around the regularization of online gambling in states such as California will continue. They could eventually lead to federal online gambling legislation. The U.S. will lead the way in online gambling laws worldwide. As entertainment industries become more closely intertwined, expect more mergers and acquisitions including gambling companies. Companies such as slot machine manufacturers (Aristocrat or IGT), casino conglomerates such as Caesars Entertainment and even video game companies like Atari, which will launch an online casino. Social casino games have opened new markets. 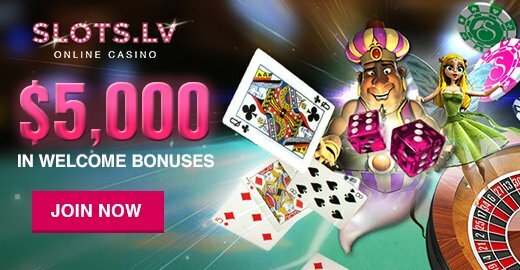 So as mobile platforms develop further, the gambling industry will try to make playing a daily activity involving small amounts of money, rather than a once-in-a-lifetime trip to Vegas where you bet considerable amounts. Because online gambling is not regulated in some territories and sometimes gamblers have no guarantee that their money is safe and that payouts will be prompt, some Bitcoin casinos are starting to surface. Other cyptocurrencies such as Litecoin and Darkcoin have also been used by online gambling sites; however, it is not yet clear if these casinos are reliable. We should start seeing more established casinos offering the possibility of using Bitcoins.